We told you recently about how a new feature in iOS9 on the iPhone might cause a nasty surprise of unexpected data charges on your wireless bill. 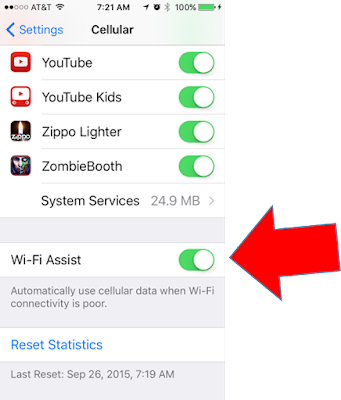 When enabled, the "Wi-Fi Assist" feature attempts to improve performance by switching from a poor Wi-Fi connection to cellular data service. Users who think they are on unlimited Wi-Fi connection and who are streaming video on Netflix, Hulu ,YouTube or other data-intensive apps will easily exceed data caps and cause expensive data charges on limited cellular data plans. Our recommendation was to turn the feature off. Apple has a new response to the controversial feature on their support page. The Apple support page notes how the "Wi-Fi Assist" works and the possibility of unexpected increased data usage. 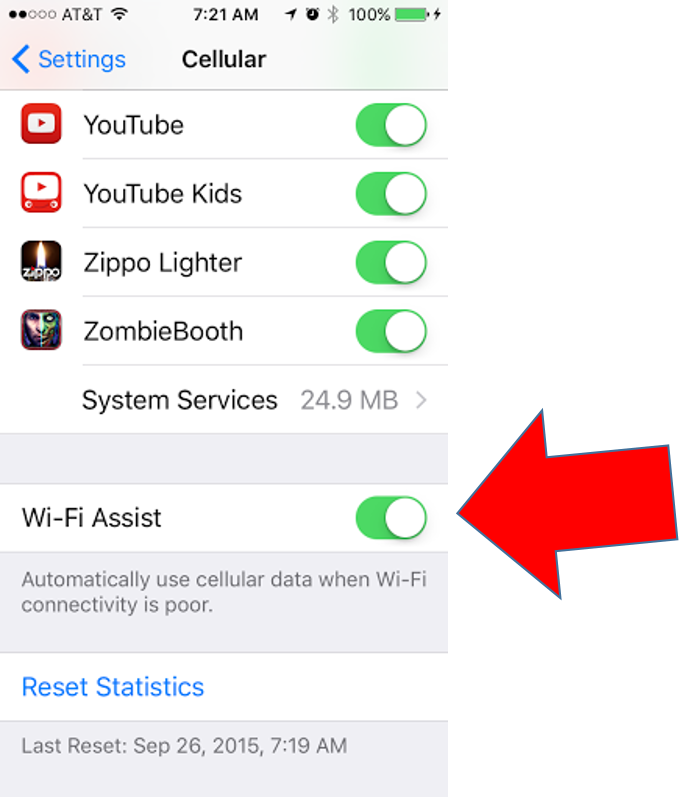 Wi-Fi Assist will not automatically switch to cellular if you're data roaming. While this new information provides insights on how the function works, users are still vulnerable to unexpected data charges since there is no warning that the Wi-Fi connection switched to cellular coverage. So our Cool Tip remains, disable this feature if you are on a limited data plan or share data with other family users on your same plan. To enable or disable the feature go to "Settings", "Cellular" and then scroll down to "Wi-Fi Assist" to toggle it on or off.